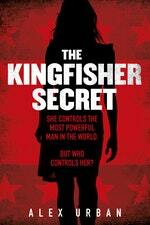 THIS SHOCKING CONSPIRACY THRILLER IS A WORK OF FICTION. MOSTLY. What if the President of the United States is a foreign intelligence asset? The man who might become President was married to a Czech woman with a beguiling and contradictory past, no records, and no history – and who has all the hallmarks of a Soviet intelligence asset. THE AUTHOR HAS CHOSEN TO REMAIN ANONYMOUS OUT OF CONCERN FOR THE SAFETY OF HIS OR HER SOURCES. Petr Kliment held Kristína, his six-month-old granddaughter, on a patch of grass on the shore of the Jizera River. When Elena reached for Kristína, to take her away, her father kissed the baby’s chubby cheeks and bald head and spoke into her tiny ear. Elena worried he would squeeze her too hard. Elena had never before seen tears in her father’s eyes. But the car was waiting and the men inside were impatient because their bosses in Prague were impatient. Petr Kliment was spending more and more of his time at their country home along the river south of Mladá Boleslav. 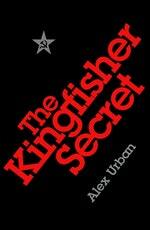 Love The Kingfisher Secret? Subscribe to Read More to find out about similar books.